Explore the innovative world of iOS 9.3 with the Apple iPad Pro. This device is packed to the brim with some exciting features that will not fail to fascinate. It supports various languages, enabling you to express yourself and work in your desired language. Gaming on this iPad is a whole new experience as it can run even the most graphics intense games, thanks to its PowerVR Series 7 GPU. 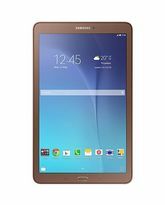 A powerful A9X chip with a 64bit architecture and a M9 coprocessor drives this tablet and ensures it delivers performance wise. 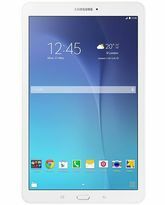 You can view and enjoy visuals in high quality on the device’s 9.7inch IPS LED True Tone Retina touchscreen. The 12MP iSight rear camera and the 5MP Facetime camera of the iPad come in handy when you want to capture pictures of things that you admire. This device offers 4G LTE and WiFi connectivity options that enable you to surf the Web wirelessly via any available wireless network. Forming the foundation of this Apple iPad Pro is the iOS 9.3. It is loaded with a collection of features and apps that let you stay productive in ways that are fun and simple. Built in apps, such as Safari, iBooks, iCloud, Siri, and more, make multitasking a joy. Additionally, iOS 9.3 comes with certain modifications as compared to its successor. It introduces the Night Shift function that, with the help of the device’s clock and geolocation, determines when its sunset and adjusts the screen colors accordingly to promote sound sleep. It offers more functions to keep data stored safe, brings tailored news to your fingertips, and adds even more useful features with CarPlay. Explore the innovative world of iOS 9.3 with the Apple iPad Pro. This device is packed to the brim with some exciting features that will not fail to fascinate. It supports various languages, enabling you to express yourself and work in your desired language. Gaming on this iPad is a whole new experience as it can run even the most graphics intense games, thanks to its PowerVR Series 7 GPU. 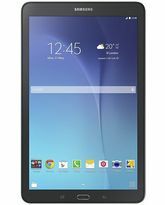 A powerful A9X chip with a 64bit architecture and a M9 coprocessor drives this tablet and ensures it delivers performance wise. You can view and enjoy visuals in high quality on the device’s 9.7inch IPS LED True Tone Retina touchscreen. The 12MP iSight rear camera and the 5MP Facetime camera of the iPad come in handy when you want to capture pictures of things that you admire. This device offers 4G LTE and WiFi connectivity options that enable you to surf the Web wirelessly via any available wireless network. THINNER YET BETTER The 9.7inch IPS Retina display of this Apple iPad Pro features a screen resolution of 2048 x 1536 pixels. Moreover, it has a True Tone display, which utilizes four channel ambient light sensors to balance the color and intensity of the screen for appropriate light to match any environment. IOS INSIDE Forming the foundation of this Apple iPad Pro is the iOS 9.3. It is loaded with a collection of features and apps that let you stay productive in ways that are fun and simple. Built in apps, such as Safari, iBooks, iCloud, Siri, and more, make multitasking a joy. Additionally, iOS 9.3 comes with certain modifications as compared to its successor. It introduces the Night Shift function that, with the help of the device’s clock and geolocation, determines when its sunset and adjusts the screen colors accordingly to promote sound sleep. It offers more functions to keep data stored safe, brings tailored news to your fingertips, and adds even more useful features with CarPlay. A TOUCH IS ALL IT TAKES Use your fingerprint as your password, as the iPad Pro supports Touch ID capabilities. It helps you unlock the device, make secure purchases from App Store and iTunes, and also lets you keep personal data on apps like Notes safe. 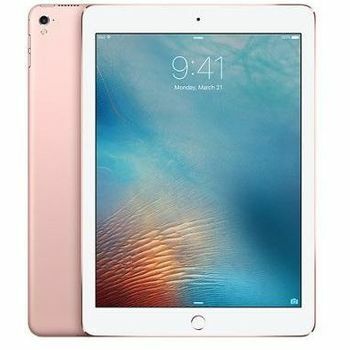 Apple iPad Pro Retina Display without FaceTime FASTER AND EFFICIENT Powered by Apple's homegrown A9X chip that implements a 64bit architecture with an M9 coprocessor, this tablet runs functions efficiently to give you a speedy performance. Additionally, making this device efficient is the Apple iPad Pro battery with a capacity of 27.5Wh. It delivers up to 10 hours of surfing the Web on WiFi and 9 hours when browsing using cellular network. MEMORIES MADE SHARPER Armed with a 12MP iSight camera, the iPad Pro lets you capture crisp, vivid photographs with excellent exposure and clarity whenever you want, wherever you are. Making things sharper on the otherside, is the Apple iPad Pro camera of 5MP that is located at the front. STAY CONNECTED Adding to the list of Apple iPad Pro specs is the built in WiFi adapter that offers quick Internet access to the online world. Unlike other iPad’s, this particular model supports 4G LTE, enabling you to insert a SIM card of any cellular network. Adding to the list of impressive features are options like NFC, Bluetooth, GPS, and more.